Blame it on Alentejo. I'm no daredevil but somehow found myself soaring in a hot air balloon, gliding above the Portuguese countryside and hovering a little too long over one of Europe's largest man-made lakes. Invigorating yet serene, retro yet innovative, that sky-high adventure encapsulates the feeling of my entire Alentejo experience. Hugo Domingos, hot air balloon pilot and proprietor of Emotion Portugal, made my first ever balloon ride one to remember. Once safely on the ground, our capable and charming pilot celebrated the moment by popping the cork on a bottle of local wine. (Speaking of cork, Alentejo is home to about one-third of the world's cork tree forests.) Whether toasting an adventure or simply enjoying a meal with family and friends, wine is an integral part of life in Alentejo. A treasure trove for wine lovers and those seeking the bucolic beauty of wide-open country spaces where people are outnumbered by cork trees, sheep, and possibly pigs; the Alentejo region is just a 90-minute drive inland from the capital of Lisbon. Alentejo means Beyond the Tejo because it is located south of the Tejo River that cuts across Portugal. António Rocha is preserving the ancient art of hand crafting the large clay vessels that are an integral part of Alentejo's winemaking heritage. A single Talha de Barro (amphora) can be as large as seven feet in height, hold up to 520 gallons of wine, and weigh 2,000 pounds! Outside of the nation of Georgia, Alentejo is the only place in the world where this ancient method of winemaking has never ceased. It co-exists in Alentejo alongside more modern winemaking techniques. Formerly part of a Roman province called Lusitania, Alentejo is the only region in Portugal that still practices the Roman technique of making & storing wines in large clay vessels known as amphorae (Talhas de Barro in Portuguese). Passionate about tradition but open to innovation, Alentejo's winemakers create authentic and appealing wines from indigenous and international grapes. With more than 250 indigenous grape varieties, Portugal has the highest density of native grapes per square mile of any country in the world. For those of us that don't speak Portuguese, the names may be a bit tricky but the rich and expressive flavors have universal appeal. The key red wine grapes cultivated in Alentejo include Alicante Bouschet, Castelão, Touriga Nacional, and Trincadeira. White wines represent only one-fifth of Alentejo's production but grapes like Antão Vaz and Arinto create wonderfully expressive wines. Visit the Wines of Alentejo website to learn more about the unique qualities and flavor profiles of each grape. Wines from Portugal are becoming increasingly popular abroad and Alentejo in particular is gaining acclaim for well-crafted and accessibly priced wines. Alentejo's mix of ancient and modern winemaking techniques, commitment to sustainability, and unique grape varieties make it hard to resist. It is also an increasingly popular, but not overwhelmed, tourist destination with a well-defined wine route. If a trip to Alentejo is not in your immediate future, take your tastebuds on a journey with their wonderful wines. Start your Alentejo winetasting adventure with wines from two of the region's best known wineries: Herdade do Rocim and Herdade do Esporão. The words of Portuguese poet Fernando Pessoa inspire the winemaking team at Herdade do Rocim: "God wishes, Man dreams, the Work is born." Located in the Lower Alentejo, Herdade do Rocim is committed to crafting wines that respect the nature and culture of their region. A modern winery that blends harmoniously with the landscape, Herdade do Rocim embraces modern techniques but also pays homage to tradition and their portfolio includes wines produced in the traditional clay amphorae. Winemaker Vânia Guibarra José is a key member of the Herdade do Rocim winemaking team which is led by Pedro Ribeiro. During my visit to Herdade do Rocim, I had the pleasure of tasting wine with a key member of their winemaking team, Vânia Guibarra José. Vânia's family initially discouraged her because "they thought winemaking was for men" and they wanted her to be a doctor. Thankfully, Vânia pursued her passion and is now one of several talented and respected women winemakers that I met in Alentejo. Herdade do Rocim Mariana Rosé 2017 ($11.99) is a charming blend of Touriga Nacional and Aragonez. Although named after a nun whose clandestine love affair led to a dramatically broken heart, Mariana is actually a very joyful wine. Provence pale, it has lively red fruit flavors, a silky texture, and vibrant acidity. If one had to select a national grape to represent Portugal, Touriga Nacional would certainly lead the pack. According to Wines of Alentejo, Touriga Nacional's "thick skin helps to obtain deep, dense colour - one of the variety's distinctive traits - but it is the abundance and depth of aromas that best identify its value. These may be floral, or fruity, or citrus but they are always intense and explosive, with an urbane, noble air." Aragonez is an absolutely Iberian grape and is known as Tempranillo in Spain. Generally a grape with low acidity, Aragonez is often blended with other varieties. A bottle of Herdade do Rocim Amphora Vinho Branco 2016 ($18) contains more than wine; it represents thousands of years of winemaking tradition because it was produced in the ancient style using the Talhas de Barro - large clay amphora. This blend of Antão Vaz, Perrum, Rabo de Ovelha, and Manteúdo was also fermented using indigenous yeasts. This minimally invasive winemaking technique produces wine with a unique texture and flavor profile. An appealing tapestry of mineral, flint, and nutty flavors. Herdade do Rocim also produces a red Amphora wine. Herdade do Rocim Vinho Regional Alentejano Touriga Nacional 2016 ($16) is a wonderful chance to sip Portugal's signature grape in a single varietal wine. A rich and supple wine with gorgeous flavors of violets, brambly blackberries, spice, and well-integrated tannins. Chances are that if you're already a fan of wines from Alentejo, you've sipped a vinho from Esporão - they are one of the region's most widely known and respected brands. Wine was first produced under the Esporão name in 1985 but the estate has a rich history -- its boundaries were first established in 1267 and have been unaltered since then. The site of many battles and intrigues during the Middle Ages, life is certainly less dangerous at Esporão these days and visitors can enjoy tastings, meals, carriage ride tours, and more. Herdade de Esporâo Reserva 2015 blends an all-star lineup of grapes: Alicante Bouschet, Aragonez, Trincadeira, and Cabernet Sauvignon. I first tasted the 2014 vintage ($24) of this wine and was blown away by its character and balance. The 2015 is just as captivating. Voluptuous but not unwieldy, it has rich dark berry flavors with savory hints of spice and herbs. Another captivating blend from Esporão is their Monte Velho 2017 ($10). A blend of Aragonez, Trincadeira, Touriga Nacional, and Syrah, it is fresh and forthright with juicy berry flavors and a kiss of spice. If you're looking for an off-the beaten-path place to vacation with wonderful food, wine, scenery and friendly people; Alentejo should be on your list. Stay: Country chic is no cliché at Herdade da Malhadinha Nova. A vast estate of vineyards and olive groves, at Malhadinha Nova nature and modern life co-exist harmoniously; cattle and Alentejo's famous black pigs roam the land while human guests unwind in simple luxury. Malhadinha Nova winemaker Nuno Gonzalez said that he is "trying to make the best wine possible, every year." Their vineyards are planted with the signature varieties of Alentejo in addition to international varieties. Malhadinha Nova resident chef Bruno Antunes prepares meals with ingredients that are primarily sourced from the estate, including their own olive oil and pork from the famous Black Pigs of Alentejo. 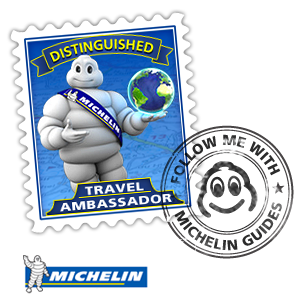 Chef Antunes works closely with Michelin-starred consulting chef Joachim Koerper. Farm to table is a reality for meals at Malhadinha's restaurant and the cuisine is paired perfectly with their wines. The restaurant is actually located in the cellar building, which emphasizes the strong connection between food and wine. The beautifully appointed and spacious rooms at Herdade da Malhadinha Nova are located in a traditional rural house that melds comfort with upscale elegance, including luxurious Bvlgari amenities in the bathroom and a combination of artisan and designer furnishings and fixtures. Temple of Diana, Roman ruins in Évora. Wine, Dine, Explore: The historic center of Évora, capital city of the Alentejo province, is a UNESCO World Heritage Site. With a history that dates back to Roman times, in the 15th century Évora was the residence of the Portuguese kings. One of Évora's many quaint streets lined with whitewashed buildings. As you wander, you'll also see beautiful wrought-iron balconies and the famous azulejos (tiles). Évora is extremely walkable and chock-full of charm and historic landmarks, including the Temple of Diana and the exquisite Royal Church of St. Francis and it's macabre, yet moving, Chapel of Bones. Manuel and his wife Carolina own the cozy culinary treasure, Tasquinha do Oliveira restaurant in Èvora. I was amazed at the quantity and excellent quality of the dishes that Carolina creates. She was hard at work in the kitchen when I snapped this photo of charming Manuel! After your stroll around Évora, try to snag a table at Tasquinha do Oliveira. A tiny jewel box of a restaurant, with about 14 seats, it feels like you're in your favorite uncle and aunt's living room. Better yet, make a reservation before you fly to Portugal - it is one of the most in-demand restaurants in Évora. Manuel manages the guests and Carolina handles the homestyle cooking which is a seemingly never-ending smorgasbord of traditional Alentejo cuisine and family recipes. The offerings include the beloved Bacalhau (salted cod fish), rabbit, the famous Black Pig, and many vegetable dishes. A signature of Alentejo cuisine is that many dishes are seasoned with coriander and vinegar. For a more modern dining experience, visit Cartuxa Enoteca. The menu showcases innovative interpretations of classic dishes and their winery's portfolio. Cartuxa has a very rich history in Alentejo, it is owned by a foundation that is very committed to the cultural, educational, and spiritual well-being of Èvora. The winery is located in the dining room of a former Jesuit house and offers tours and tastings. Chef José Júlio Vintem, in action at Säo Lourenço do Borracal, is passionate about preserving the culinary traditions of Alentejo. Back in the countryside, Säo Lourenço do Borracal is a beautifully restored estate that has been in the same family for 200 years. In addition to producing their own wine, the estate has a large organic garden, cattle, and olive groves. The guest rooms include suites and cottages. Chef Vintem with estate owner José António Uva - the 8th generation of his family to live at São Lourenço do Barrocal. Chef Vintem is one of Alentejo's most celebrated culinary stars and in the early mornings he can often be found foraging for herbs and mushrooms. He magically transforms the estate's abundant resources into flavorful and authentic cuisine. The best wine trips are never just about the wine but discovering how this revered beverage fits into the fabric of a culture. In Alentejo, wine has been produced since time immemorial and is respected and treasured. It is a part of the rhythm of life, from the city to the countryside. Alentejo's endless hectares of old-vine vineyards show the intimate relationship between humans and nature. From toil and tenacity, grapes are cultivated and transformed via science, intuition, and artistry into wine. Whether it is produced in the ancient style in a clay amphora or crafted using all the tools that modern technology has to offer, Alentejo winemakers are committed to making their wines, their way. The Alentejo way where tradition and innovation happily co-exist. Where indigenous varieties like Touriga Nacional are nurtured but international varieties are not excluded. Where the wines are an essential companion to their cuisine. Black dress, red wine. In the wine cellar at Malhadinha Nova. My visit to Alentejo reminded me that when you open a bottle of authentically made wine, that you are tapping into the life pulse of a culture. This was my first trip to Portugal. I don't speak the language and at times felt embarrassed at how little I knew about their history. But I was made to feel welcome. Whether soaring in the sky or strolling in the vineyards, Alentejo wraps itself around you, pours you a glass of wine, and welcomes you wholeheartedly. I don't pretend to be an expert on Alentejo but my life and wine education have certainly been enriched by the days I spent there. Until I can return, memories of Alentejo are only a sip away.